Tomaso is a very well-known and distinguished brand in the industry. 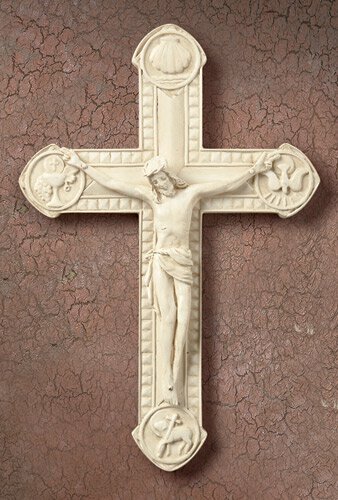 Characterized by their meticulous detail, quality craftsmanship and gorgeous gift packaging, these Tomaso Crucifixes of Distinction are a perfect gift, and will be a treasured keepsake for years to come. Gift Boxed and packaged with a presentation certificate. as you grow in your faith and follow in His footsteps. God's blessing, grace, and everlasting love for you.